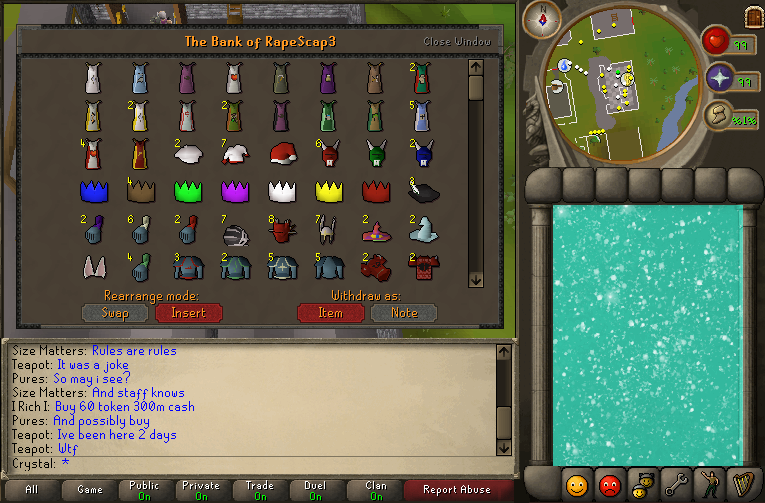 Crystal's Bank! <3 all legitt. 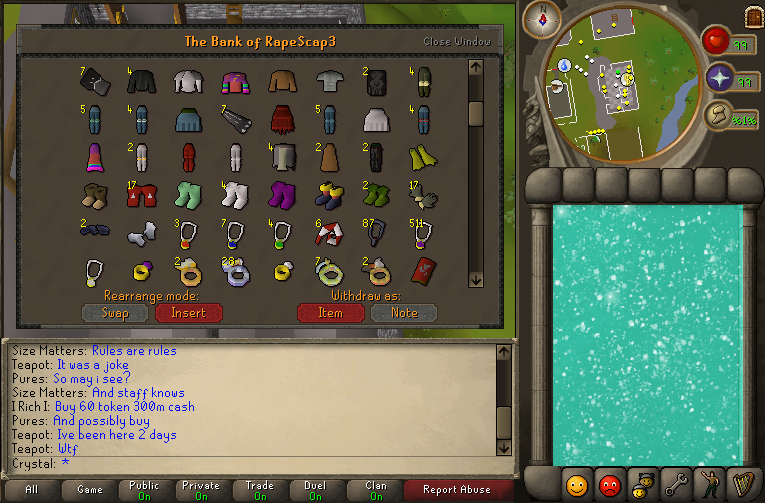 IM buying any untrimmed cape i do not own, also any colored boot's i do not own. THANKS BAI! 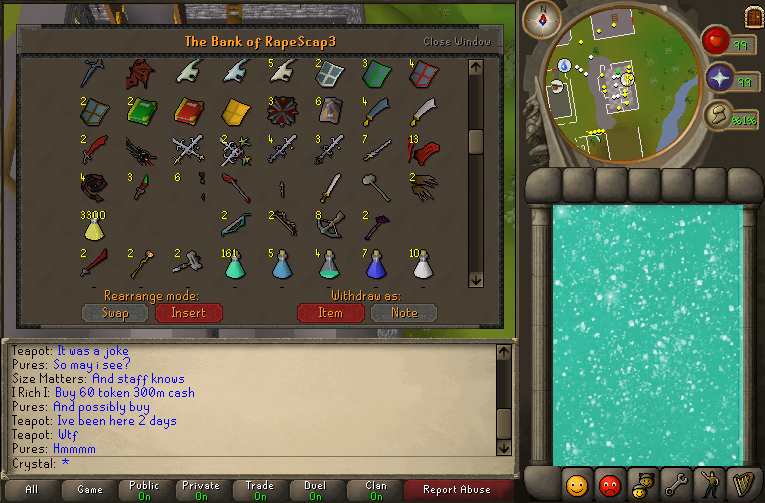 Nice bank, lot of hard work..
Should we stop posting? 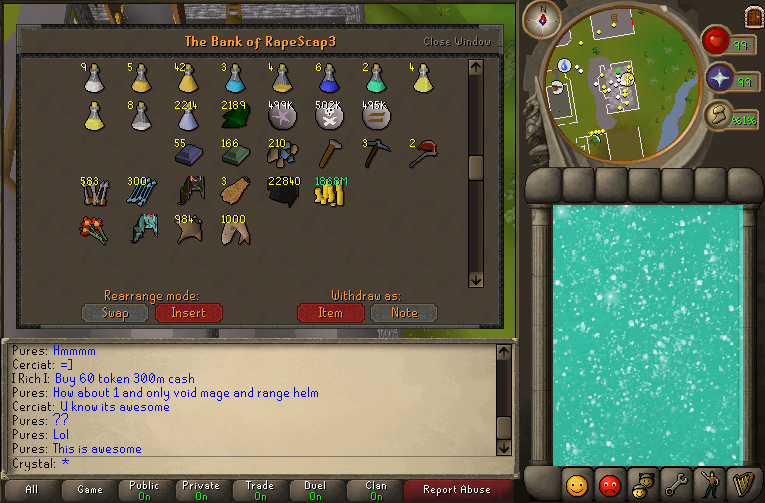 It was a gravedig from before the downtime..
Subject: Re: Crystal's Bank! <3 all legitt.